BNP on Saturday demanded the government that the body of great poet Al Mahmud to be taken the Central Shaheed Minar to enable people to pay their last respects to him. “The government should give permission for bringing the body of freedom fighter and poet (Al Mahmud) to Shaheed Minar so that the people of all walks of life can pay homage to him,” said BNP senior joint secretary general Ruhul Kabir Rizvi. Mentioning that Al Mahmud had suffered imprisonment due to his struggle for ensuring the freedom of expression, Rizvi said people want to see Al Mahmud’s body to be taken to the Shaheed Minar. Paying homage to the late poet, the BNP leader said their party is shocked like the country’s people over the demise of one of the prime poets of modern Bangla literature. Rizvi said Al Mahmud made outstanding contributions to the country’s progressive movement, 1952’s Language movement and the Liberation War in 1971. 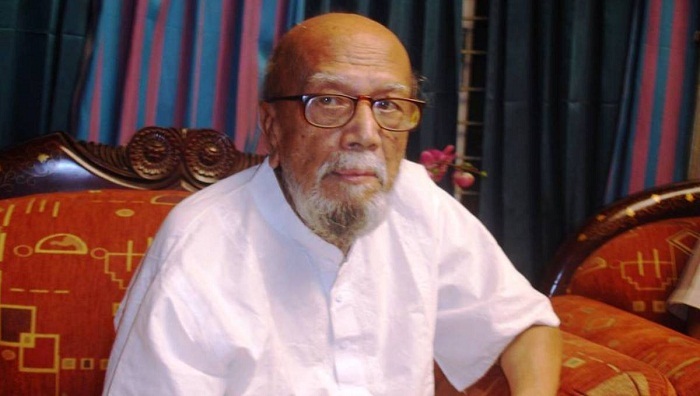 Al Mahmud breathed his last at 11:05 pm on Friday at the Intensive Care Unit (ICU) of Ibn Sina Hospital in the city’s Dhanmondi area.